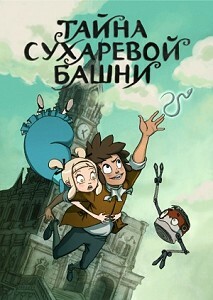 The Mystery of the Sukharev Tower is the Russian animation adventure fantasy series, which was issued in 2015. The series take place in 17th century in Russia, when tsar Peter the Great issues a decree about celebrating of New Year. To the court of the tsar under the guise of a mechanical scientist comes the Master of Dark Magic, who seeks the way how to get into the Magical Worlds and regain his magical power. The gates to the Magical Worlds are in Moscow in the Sukharev tower. They are guarded by count Yakov Bryus the follower of the Peter the Great, scientist and the Sorcerer Of Balance. Bruce's apprentice, Petya, accidentally learns of the Master's insidious plans and hurries to the Sukharev tower to warn Bruce's daughter Margarita about the danger. Children quarrel and accidentally break the old manuscript, which contains the magical power of Bryus. 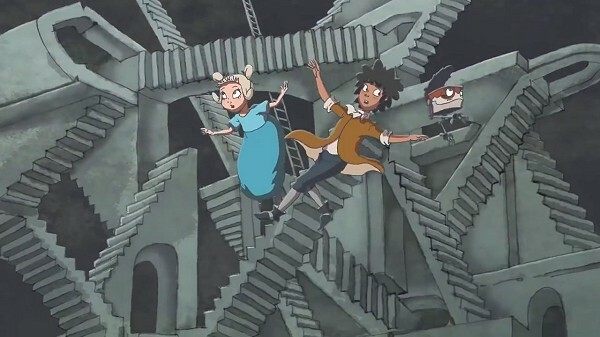 To restore the manuscript children go on a dangerous adventure in the Magical Worlds. 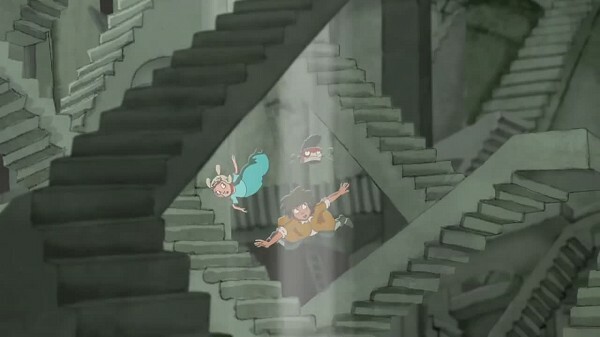 They go to Magical Worlds through portal, flying by stairs which reminds Escher's artwork "Relativity".